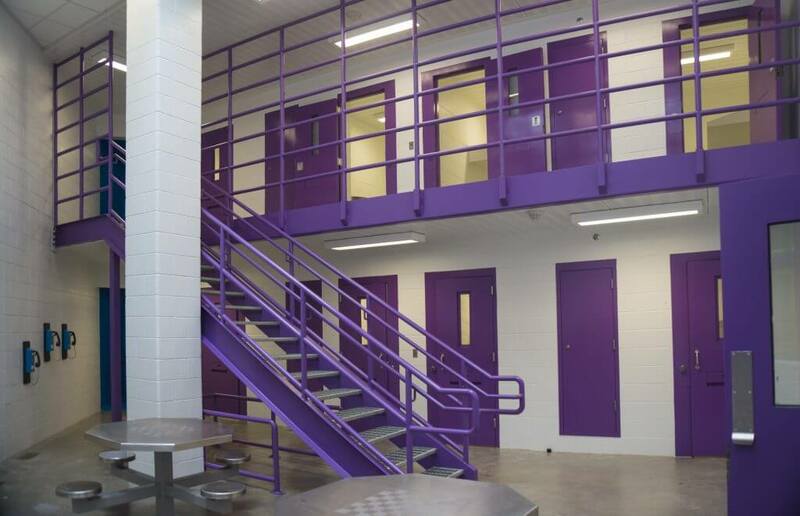 The new 80,000-square-foot jail is designed to hold 160 beds between four quadrangles in a day room concept on the second ﬂoor and mezzanine levels. The building includes food service, maintenance, storage, medical, dental, booking and release and a vehicle sally-port. 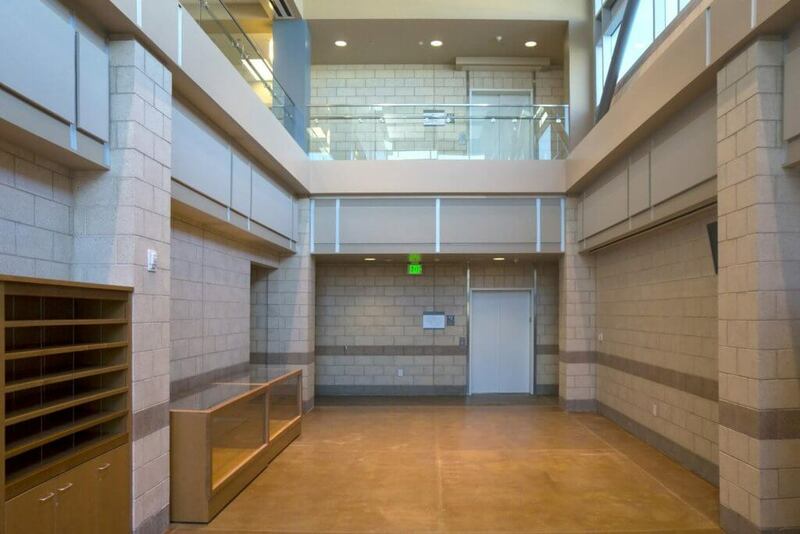 Architectural pre-cast concrete panels comprise the structure of the jail building along with braced frame structural steel and CMU. The rooﬁng is TPO over rigid insulation on all roof levels. 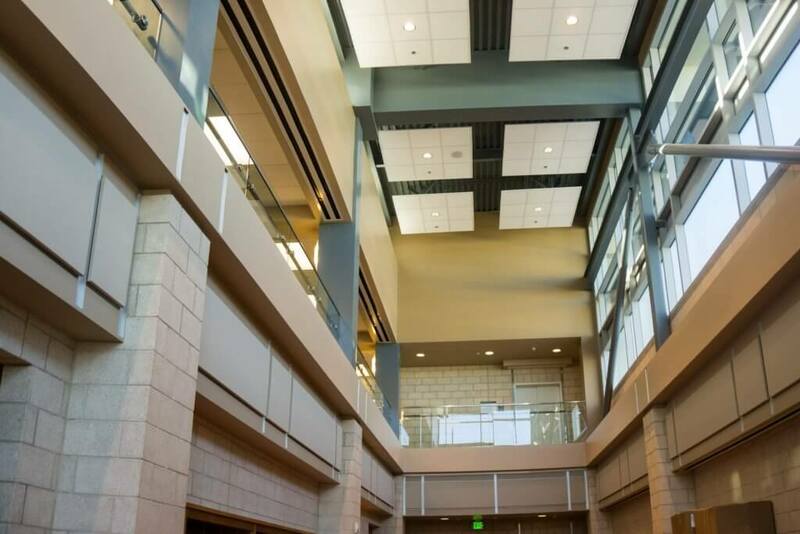 The MEP system has been designed to serve the whole project through the jail utility rooms and jail mechanical yard that contain cooling towers, chillers, boilers, and emergency generators. Energy efﬁcient aspects include: photo-voltaic systems, thermo-mass pre-cast panels, domestic water heating solar collecting system, and lighting controls. 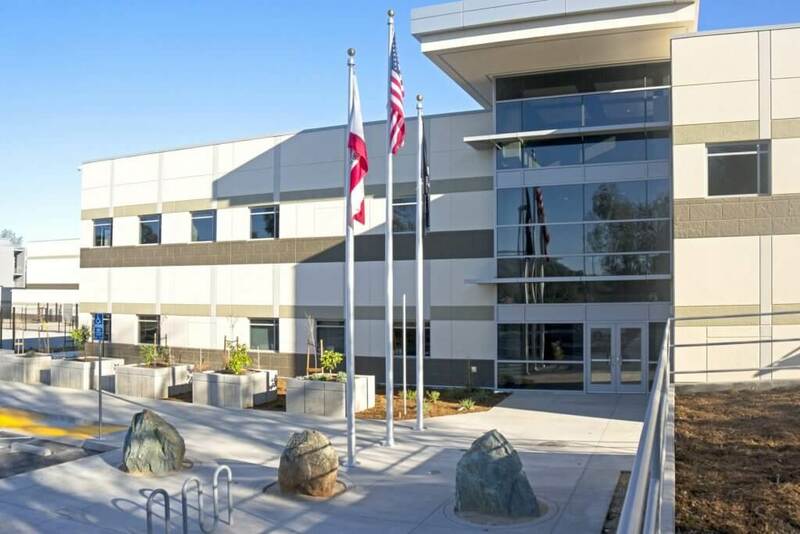 The jail building contains a comprehensive electronics safety and security package to support an integrated access control system, intercom system, programmable logic controllers and graphical user interface system, video visitation, interview recording system, and video surveillance.